I am having SO much fun in Brave Girl Art School--The Wing Session. 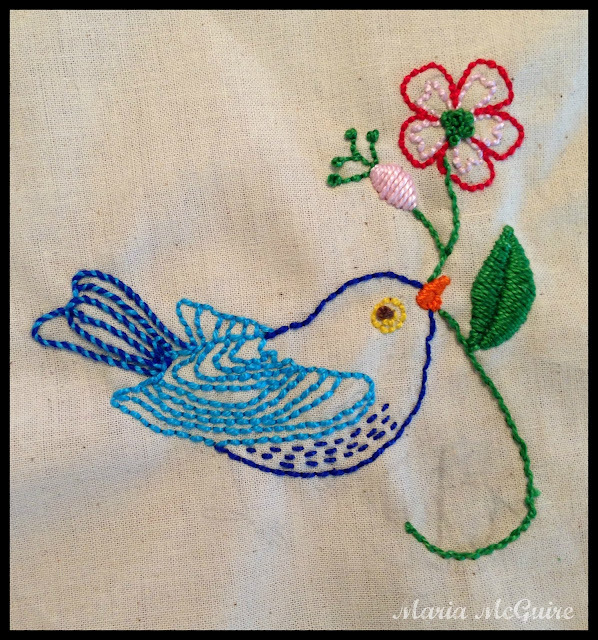 Our second lesson was all about stitching which brought me right back to when I was a little girl learning how to embroider with my grandmothers. Before I started papercrafting and making art 20 years ago I was an avid and I mean AVID cross-stitcher. Now that I'm a little older it is harder for me to see and count like I used to so going back to embroidery is SO much fun to me. I'm a little rusty but that's okay because I'm having FUN! I have so many ideas in my head to draw out. Anyone have any suggestions of what I can make with my final works of art after they are done? 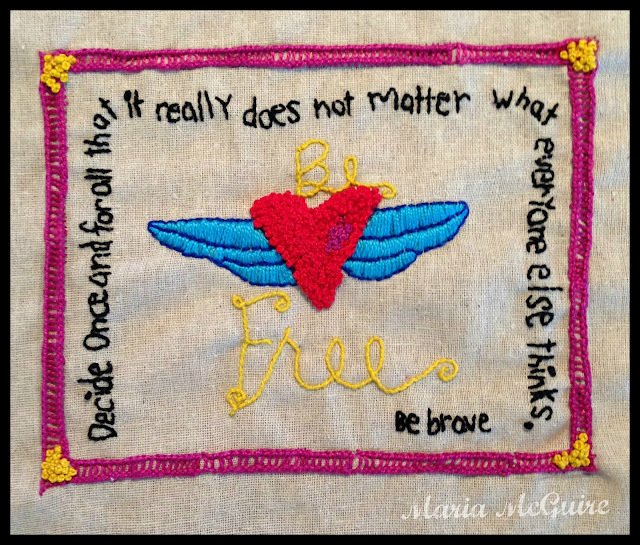 The Brave Girls Shoppe has some of Melody's artwork transformed into stitchery by Patrice Longmire. I purchased this one and a few others. Patrice is very special to me so it was like her and Melody were sitting right there with me while I did this. This first one was designed by Patrice and the other one was a free pattern I found online. Look at all those French knots! I can feel the peace in these-your stitching is so beautiful!